After Samsung had to forcibly abandon the Galaxy Note7 series due to unwarranted explosion, a case of an iPhone 7 Plus has now surfaced. According to sources, an Apple iPhone 7 Plus exploded in the Yunnan province, Southwest China. While the exact cause of the explosion is not yet known, bystanders claim that the battery caught fire due to the impact when the handset accidentally hit the ground. The smartphone apparently emitted smoke and severe vibrations, while its display shattered and detached from the body. 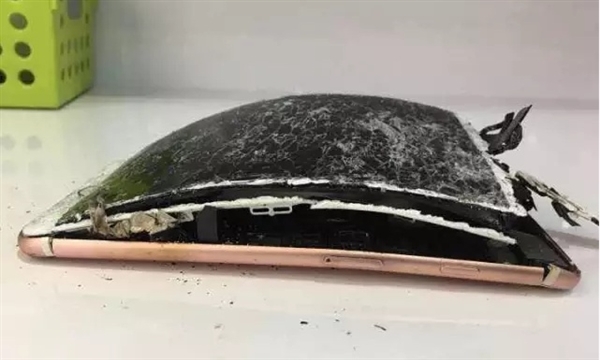 While Apple hasn’t commented on the incident, this is the fourth incident of the iPhone 7 series smartphone exploding. While it certainly doesn’t seem to be as severe as the Galaxy Note7 debacle, it is of high necessity that Apple takes the matter seriously. Also at the same time, users need to exert caution while handling smartphones.